Long lead times for the iPhone X appear to indicate extremely high demand, pushing Apple shares higher. Demand for Apple Inc.'s (AAPL - Get Report) much-anticipated iPhone X appears to be surging. A flood of consumers have placed orders for the $999-and-up device since it went on sale on Friday, pushing delivery times out to 5-6 weeks. This means that many iPhone X's won't be shipped until December and indicates that the pricey smartphone is in high demand, according to analysts. Shares of Apple surged 2.3% to $166.72 on Monday. The stock is up about 44% so far this year, compared to the S&P 500's gain of 15%. GBH Insights analyst Daniel Ives was bullish in his outlook for the iPhone X, noting that the initial lead times of 5-6 weeks demonstrate the iPhone X is shaping up to be a "stellar success." Ives believes pre-order demand is closer to 50 million units of the iPhone X, higher than his initial estimate of 40 million units. And noted Apple analyst Gene Munster of Loup Ventures also saw long lead times as a sign of stronger-than-expected demand. "With the official launch of iPhone X in Apple retail stores slated for this Friday, November 3, we anticipate very high demand globally with limited supply of iPhone X on hand," Ives wrote in a note to clients on Monday. 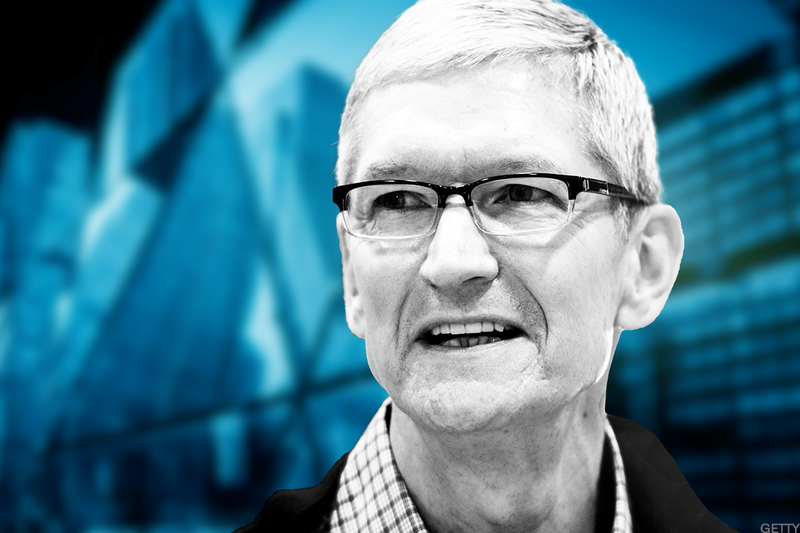 "This will be a defining product launch for Cook & Co. that we ultimately believe will be Apple's biggest iPhone product cycle to date, surpassing its previous peak sales for the iPhone 6 cycle in 2015." Apple last week characterized initial response for the iPhone X as "off the charts." Loup Ventures analyst Gene Munster tracked iPhone X lead times to demonstrate just how quickly the device began selling out. U.S. ship dates for the iPhone X increased to 2-3 weeks just 17 minutes after the device went on sale Friday at 3 a.m. ET. By about 5:20 AM EDT, that range increased to 5-6 weeks and it has remained consistent since then, Munster noted. Lead times can serve as an indicator of supply and demand for the iPhone. If there's a deluge of demand, Apple will lengthen its lead times to make sure its supply can meet demand; there have also been rampant rumors about Apple facing supply constraints for advanced parts of the iPhone X. The last time that Apple lengthened its lead times to this extent was for the iPhone 6 Plus/6S Plus, which ranged from two to three weeks about two days after pre-orders began, Munster said. "Current lead times are 5-6 weeks, which we view as a sign that demand for the iPhone X is trending more favorable than investor expectations," Munster explained. "Previously we had published that if lead times were below two weeks by Sunday, Oct 29, we would have viewed that as negative for initial iPhone X demand." Munster added that the iPhone mix and average selling price will be the "biggest driver" of Apple's stock in the next year. According to Drexel Hamilton analyst Brian White, it's gotten harder to gauge demand for Apple's new phones as more and more consumers pre-order iPhones online rather than standing in line at stores. That said, White expects to get "more color" around enthusiasm for the iPhone X when it becomes available in stores on Nov. 3. "Although we believe Apple is benefiting from strong demand from the iPhone X, the company is also struggling with supply constraints," White said in a note to clients on Monday. "As such, sound debate around the key driver for the surging lead times can be made by reasonable people."